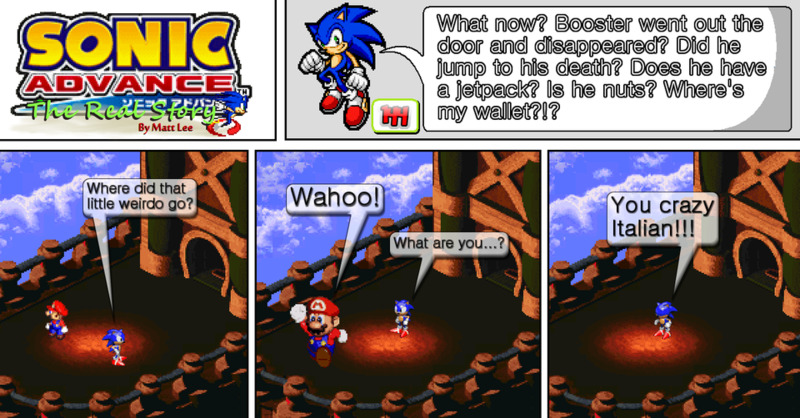 Sonic Advance The Real Story on The Duck : #144 - Look Out Below! #144 - Look Out Below! Sorry I haven't posted comics in a while. I've just been really distracted lately. I'll try to be more regular from now on.